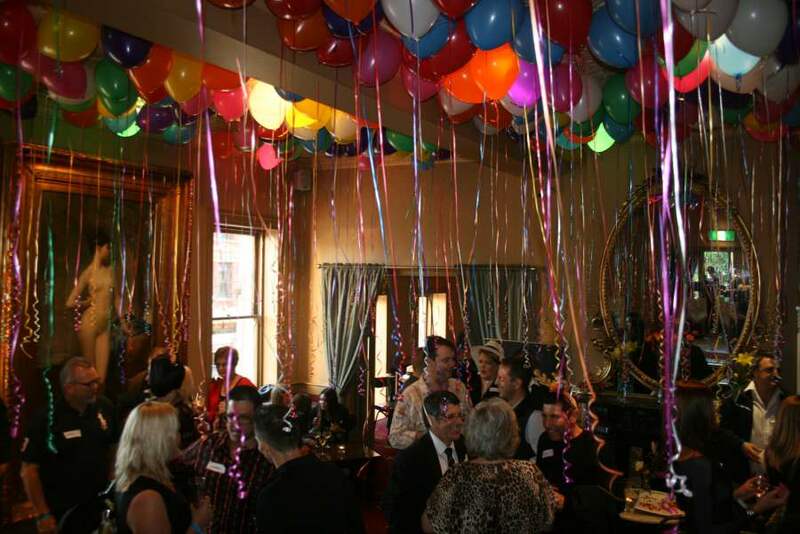 Stylishly decorated, Young and Jackson is the perfect blend of boutique bar and classic pub making it the perfect venue for any style of function. 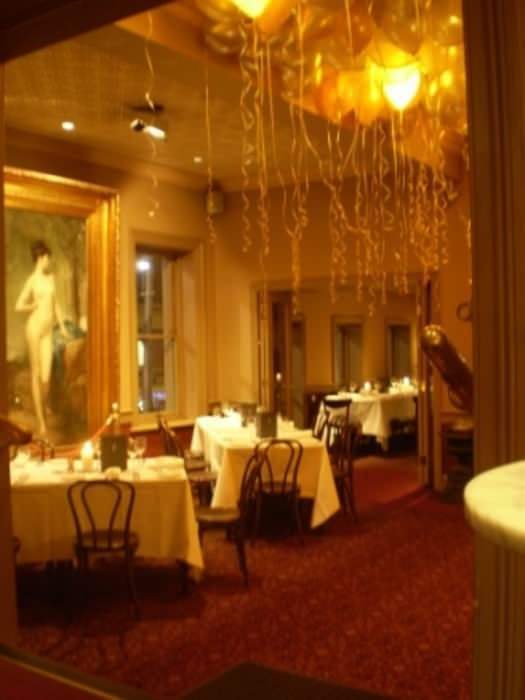 Chloe's Lounge & Restaurant consists of 5 rooms available for private functions, including a private dining room, Chloe's Restaurant, two exclusive lounge areas or the entire first floor including a private audience of Chloe. We offer a variety of menus including canapés, set menus, wedding menus, tapas, specialised steaks and a la carte dining. Our rooms and facilities can cater for all types of celebrations; from birthdays and farewells to engagements, Christmas parties and even weddings! If you're looking for a corporate space we can also accommodate your business needs. Each event is personally planned, tailored and run for you by our dedicated and experienced functions manager. Call us to arrange a tour of the venue & chat about options for your upcoming event. 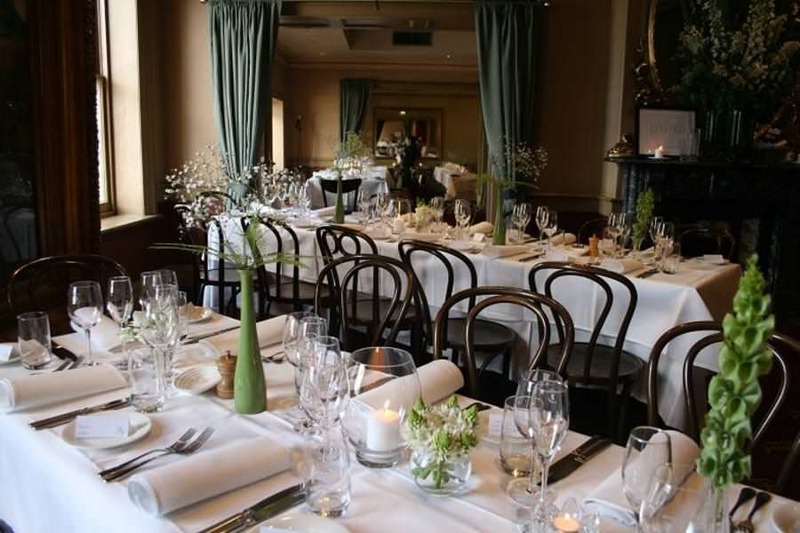 The team at Young and Jackson can help with all the extras involved with private functions including cakes, bon bonnierre, audio and visual hire, dance floor, bands, DJs, MCs, photographers, marriage celebrants and almost anything you may need to make your occasion special. Stylishly decorated Young and Jackson is the perfect blend of Boutique bar and classic pub making it the perfect venue for a relaxed wedding reception or intimate ceremony. 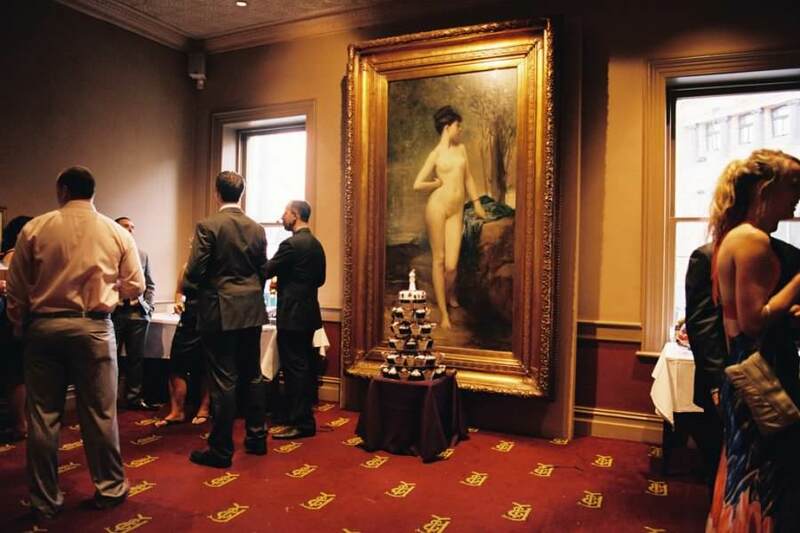 Whether you would like a sit-down formal dinner, or a cocktail reception complete with band, DJ and dance floor, Chloe’s Rooms are the ideal location. Each event is personally planned, tailored and run for you by our dedicated and experienced functions manager. Call us to arrange a tour of the venue & chat about options for your special day. This is our premier room at the corner of Swanston and Flinders Street boasting views across Federation Square, Flinders Street Station and St.Paul's Cathedral. A comfortable lounge area - this room can be an elegant relaxed space or the heart of the party with room for a dance floor and a DJ or Band. Chloe's rooms comprise the 'Salon' lounge area and Chloe's Bar - home of the beautiful Chloe. This room adds the luxury of a private bar to your reception. Chloe's bar showcases the amazing products available at Y&J's including craft beers, extensive bottles ciders, fine wines and specialty cocktails. 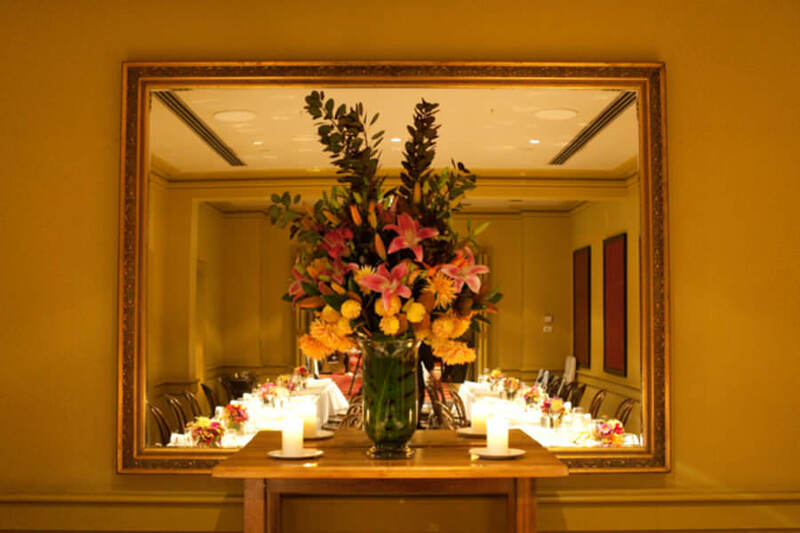 Our entire first floor can be reserved for private functions and is the perfect space for larger events. Comprising our 'Salon' lounge and Chloe's bar plus two additional lounge areas, this format offers us the flexibility to create quiet relaxed spaces and upbeat party areas all in complete privacy for your event. 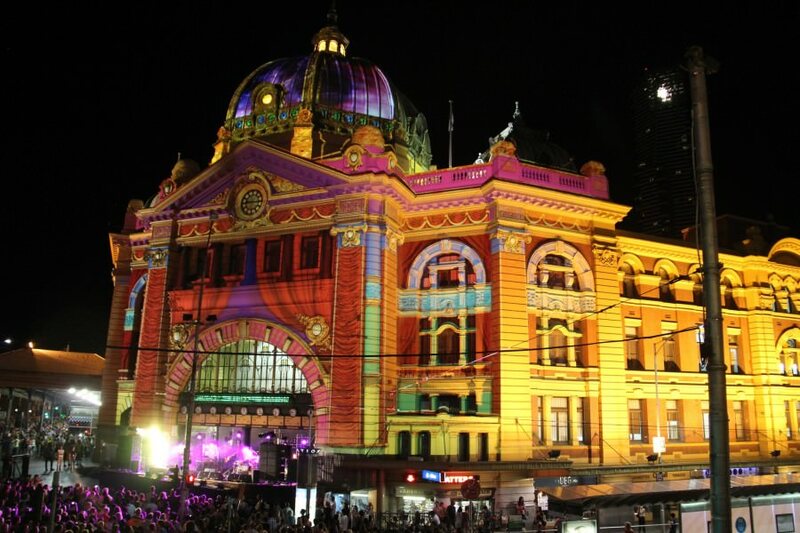 Enjoy being Immersed in Melbourne's history. 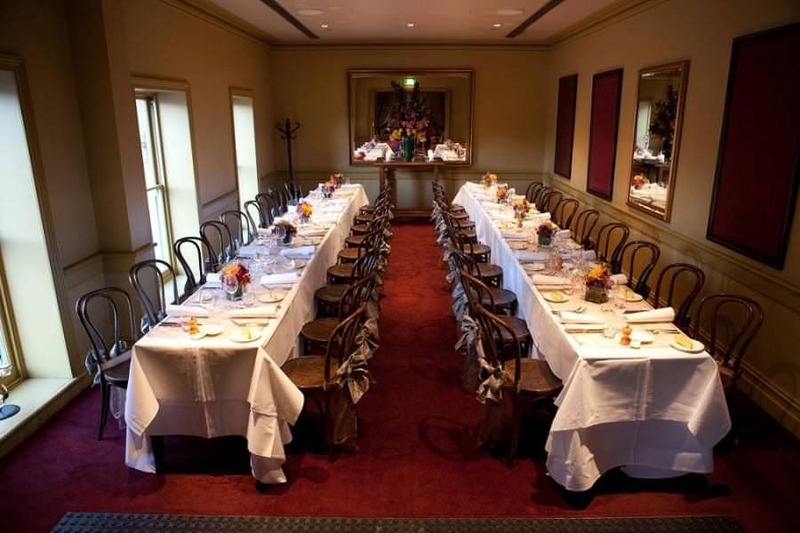 Our Private Dining Room is the perfect area for the smaller intimate gatherings. Offering historic and landmark views, fine furnishings and antique old world glitz and charm, Chloe's Restaurant is the perfect area to celebrate your special day. When booking the entire floor the space includes a lounge area for canapés on arrival, full cocktail bar, area for Dance Floor & Entertainment and is entirely private. Other features include Bridal Change area and private washrooms away from the public. Chloe’s Rooms are now available for wedding ceremonies. The space is best suited to groups of 65 or less when having both the ceremony and seated reception. We can recommend and put you in touch with some trusted celebrants. Drinks can be purchased on consumption to a tab with a specified limit (a per head spend of $10pp per hour is recommended). A drink list can be tailored for each function to reflect your taste and budget. Functions staff can assist with setting an appropriate tab limit and drink menu options. It’s important that your Entertainment reflects your style for your big day. Whether you prefer an acoustic duo, jazz trio, soul quartet or 6 piece dance band, we can help you book it. We have years of experience booking live music, have 2 agents as well can book directly. We know who the crowd pleasers are and have sourced some good deals for you already. If you prefer, you can organise your own band – just put them in touch with us to sort out the logistics. Alternately, if live music is not your thing, we have an ipod amplifier available for hire. Just get a song list together and plug in! Just enter in some contact details and any other quick details that will help with our response and click send to have us get back to ASAP!